LONDON (Reuters) – Iran’s Supreme Leader Ayatollah Ali Khamenei advised the government last July not to rely on European efforts to protect Tehran against US sanctions, months after Washington withdrew from a nuclear deal with Iran and reimposed penalties. The release of Khamenei’s speech nine months after his meeting with the cabinet, showed while President Hassan Rouhani was trying to save the nuclear deal with European powers, who remained committed despite the US exit, Khamenei was not optimistic about the efforts. The Europeans would naturally say they are protecting Iranian interests with their package “but (the Iranian government) should not make this a main issue,” Khamenei was quoted as saying by his official website on Monday. Khamenei’s comments were published a week after Rouhani rejected the resignation of Foreign Minister Mohammad Javad Zarif, a US-educated veteran diplomat who championed the nuclear deal. The skepticism from Khamenei casts doubt on efficiency of Zarif’s past and present efforts to keep the agreement alive. Iran and six major world powers reached a nuclear deal in 2015 after more than a decade of negotiations. Under the deal, sanctions imposed by the United States, European Union and United Nations were lifted in return for Iran agreeing long-term curbs on a nuclear program that the West suspected was aimed at creating a nuclear bomb. Khamenei said that the 2015 deal did not resolve “any of economic problems” of Iran, and predicted that the mechanism proposed by Europeans to shield business with Iran against the US sanctions would not also be a solution to economic hardship. “Do not tie the Iranian economy to something that is out of our control,” he added. Iranian politics has long experienced internal factional struggles, especially on its relations with the West. While Rouhani and his moderate camp support the nuclear deal and seek rapprochement with the United States and Europe, the hardliners, echoing Khamenei’s stance, defy any compromise to foreign pressures, calling it against Islamic revolutionary values. 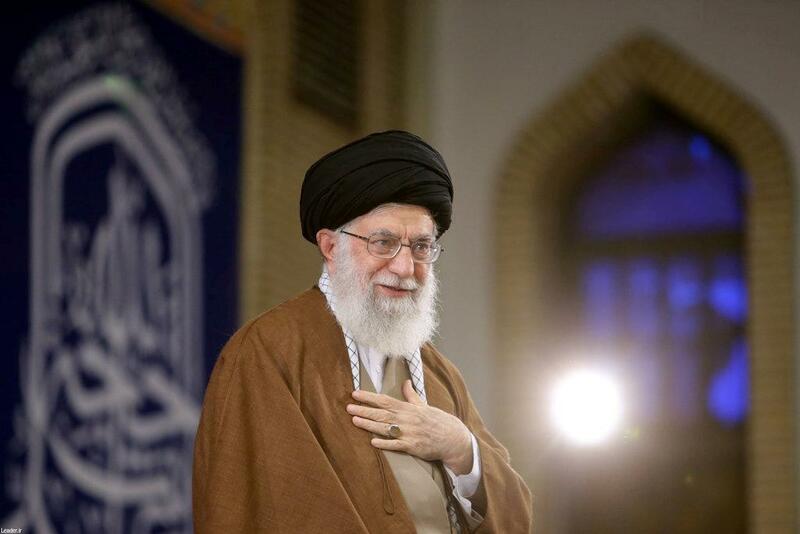 Khamenei warned last month the government not to be deceived by European countries, and their “smiles”. France, Germany and Britain opened a new channel for non-dollar trade with Iran in January, although diplomats say it is unlikely to allow for the big transactions that Tehran says it needs to keep a nuclear deal afloat. Iranian foreign ministry spokesman Bahram Qasemi praised on Monday the proposed European mechanism, known as Instrument in Support of Trade Exchanges (INSTEX) as a “late but important step”. Qasemi, however, warned, that Iran will not accept any conditions from the Europeans. France has called on Iran to stop all activities linked to ballistic missiles or face sanctions. Iran has threatened to pull out of the 2015 deal itself unless the European powers enable it to receive economic benefits. The Europeans have promised to help companies do business with Iran as long as it abides by the deal. Washington says that although Iran has met the terms, the accord was too generous, failing to rein in Iran’s ballistic missile program or curb its regional meddling. New US sanctions have largely succeeded in persuading European companies to abandon business with Iran.